The price is for 1 card. The price depends on the quantity. 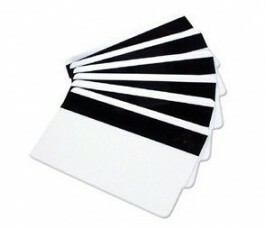 125kHz ASK ISO White plastic cards with HiCo magnetic stripe carry graphical and electronically readable information, which is recorded on a magnetic stripe. These cards are standard credit card thickness (30mil) and conform to ISO-7810 standards for dimensions and quality. Excelent quality of the surface!